The Bureau of Land Management wants to be prepared if U.S. horse slaughterhouses open for business, a key BLM staffer said. "They may never open. They may open. But if they do open, we are ready," said Joan Guilfoyle, BLM's Wild Horse and Burro Program division chief. Speaking at a three-day meeting this week of the National Wild Horse and Burro Advisory Board in suburban Washington, D.C., Guilfoyle said her team has drafted letters to send if slaughterhouses reopen to warn owners that BLM-protected horses cannot be processed. In the past, she said, plant owners had agreed to work with BLM if there were questions about a horse's status. She would reinstate such agreements, she said, if new slaughter plants came online. For the first time since 2007, horse slaughter plants are poised to reopen domestically. Congress had banned funding for Department of Agriculture inspections of horse slaughter plants, effectively shutting down the industry, but the ban was eliminated a year ago. A few slaughter plants had aimed to start operations this summer, but a lawsuit from animal welfare groups stalled their plans. Meanwhile, Guilfoyle said that the investigation of Tom Davis, who was accused of taking BLM-acquired horses to slaughterhouses across the border, was taken over by the agency's Office of the Inspector General. "They told us then that we could get a report back in two weeks, or we could get a report back from them in two years," she said. The advisory board was meeting to respond to a sweeping report this summer from the National Academy of Sciences that found that BLM was underestimating herd sizes -- and exacerbating the problem by removing horses. During the first two days of this week's meeting, authors of the NAS report gave in-depth presentations. vasectomies are most promising for males. However, the board called on BLM to investigate a wide range of birth control options, including intrauterine devices, to help control wild horse populations. The board highlighted other recommendations from the report: that BLM develop a standard for how frequently to conduct surveys of the population and that the bureau should make that data more available to the public. It also found that BLM's method for keeping tabs on its wild horse population isn't in line with current science. "As we have found in the report itself, I think we have to agree that there are some gaps there," said Boyd Spratling, a veterinarian and co-chairman of the advisory board. A Colorado man who repeatedly broke state brand laws by shipping hundreds of federally protected wild horses out of state will not be prosecuted for violating state brand inspection rules because of time limits on prosecution, authorities said this month. A ProPublica investigation published by The Gazette in September showed Tom Davis of La Jara purchased more than 1,700 wild horses from the Bureau of Land Management from 2008 to 2012 and shipped them to fates unknown. Davis, a proponent of horse slaughter, said he sent the horses to what he called "good homes" all over the country. Wild horse advocates believe they illegally went to slaughter. None of the horses have been accounted for. In October, the BLM began investigating whether Davis broke federal law by knowingly sending horses to slaughter. That investigation is ongoing. Soon after, Colorado started its investigation of whether Davis violated state brand inspection laws. Brand laws, which date to the cattle rustling days, are designed to guard against people selling stolen livestock. Colorado law requires a state brand inspection when livestock is sold, moved out of state, or shipped in state more than 75 miles. Davis replied, "Since when is anything in this country done legal?" The whereabouts of all 1,700 horses is unknown. Each violation of the brand law is misdemeanor punishable by up to 18 months in jail and a $1,000 fine. Sheriff's deputies in Conejos County, a rural corner of the San Luis Valley where the Davis family has deep ties, conducted an investigation starting in late April. Deputies found nothing indicating Davis broke the law, said 12th District Attorney David Mahonee in a press release. Mahonee said in the last 18 months, the period allowed by Colorado's statute of limitations for misdemeanors, "There is no evidence that the rancher shipped horses out of Colorado without first having them inspected by the brand inspector and therefore no charges will be filed." "It's that simple. Either show us the inspections or show us the horses. If you can't, he should be arrested," said Deniz Bolbol, communications director for the American Wild Horse Preservation Campaign, a national advocacy organization. "We are disappointed the authorities seem to be turning a blind eye." The Department of Interior Inspector General's Office took over the BLM investigation of Davis in October. The office did not respond to requests for an update on the investigation, but an unnamed source said its findings could be completed this summer. Meanwhile, wild horse lovers are outraged that the man they say slaughtered truckloads of protected mustangs has yet to be punished. "The bottom line is that there are 1,700 missing horses," said Suzanne Roy, director of the American Wild Horse Preservation Campaign "The sheriff has turned his back. The BLM is dragging its feet. And we still don't know what happened." After months of false starts, state authorities have opened a formal criminal investigation into Tom Davis, a southern Colorado wild horse buyer who admitted to breaking state laws while shipping hundreds of federally protected wild horses to an unknown fate out of state. Last week, the Conejos County Sheriff's Office opened the investigation at the request of state brand commissioner Chris Whitney, who said Davis, of La Jara, admitted to the commissioner that he broke brand laws. A ProPublica report published in The Gazette in September detailed how Davis a proponent of horse slaughter, purchased truckloads of protected wild horses from the Bureau of Land Management. Davis said he then shipped the horses to what he called 'good homes ' all over the country. None of the horses has been accounted for. Wild horse advocates believe they illegally went to slaughter. Davis denies this. Colorado law requires a state brand inspection when livestock is sold or shipped more than 75 miles. Brand records show Davis received more than 1,700 horses from the BLM, but shipped only 765. None of the horses is in his possession, meaning almost 1,000 were shipped or sold without an inspection. Davis admitted as much to ProPublica in 2012, saying he did not want brand inspectors to know where the horses were going. When the reporter suggested that was illegal, Davis replied, 'Since when is anything in this country done legal? He could not be reached for comment last week. Each violation of the brand law is misdemeanor punishable by up to 18 months in jail and a $1,000 fine. After the ProPublica report, state agencies dithered, unsure how to enforce the law. The brand commissioner thought it was the job of the district attorney in Alamosa. The district attorney said it was not. Nothing happened with the case until a Gazette inquiry in early April. April. 'If Davis didn't get a brand inspection then you need to need to speak to the brand inspector. Brand Commissioner Whitney, notified by The Gazette that there was no investigation, said last week he called the sheriff's office and the undersheriff assured him he would open an investigation. The undersheriff could not be reached for comment. On Wednesday, the district attorney confirmed that the sheriff had opened an investigation. 'I can't say more than that, but I know they are working it, ' Mahonee said. The federal government is also investigating Davis for allegedly selling wild horses to slaughter in violation of agreements he signed with the Bureau of Land Management. Repeated calls to the spokesman for the Interior Department's inspector general's office regarding the investigation were not returned. The Bureau of Land Management faced a crisis this spring. The agency protects and manages herds of wild horses that still roam the American West, rounding up thousands of them each year to kee populations stable. The BLM has sold Davis at least 1,700 wild horses and burros since 2009, agency records show -- 70 percent of the animals purchased through its sale program. Like all buyers, Davis signs contracts promising that animals bought from the program will not be slaughtered and insists he finds them good homes. Animal welfare advocates fear that horses bought by Davis are being sent to the killing floor. “The BLM says it protects wild horses,” said Laura Leigh, founder of the Nevada-based advocacy group Wild Horse Education, “but when they are selling to a guy like this you have to wonder.” BLM officials say they carefully screen buyers and are adamant that no wild horses ever go to slaughter. “We don’t feel compelled to sell to anybody we don’t feel good about,” agency spokesman Tom Gorey said. “We want the horses to be protected. ”Sally Spencer, who runs the wild horse sales program, said the agency has had no indication of problems with Davis and it would be unfair for the BLM to look more closely at him based on the volume of his purchases. "It is no good to just stir up rumors,” she said. “We have never heard of him not being able to find homes. So people are innocent until proven guilty in the United States. Some BLM employees say privately that wild horse program officials may not want to look too closely at Davis. The agency has more wild horses than it knows what to do with, they say, and Davis has become a relief valve for a federal program plagued by conflict and cost over-runs. So what happened to the wild horses Davis purchased from the BLM? The agency can’t say for sure. It does not hold onto the titles of wild horses acquired through its sale program as it does with horses that are adopted. Officials also have no process for following up to make sure buyers use animals as they claim they will in applications. It’s impossible to confirm that the horses actually arrived there or to know where they might have gone next, however, because Texas is one of the few Western states that do not require brand inspections when horses are moved or sold. Just south of Kinney County is Eagle Pass, a border town that isthe only crossing for horses going to slaughter in Mexico for hundreds of miles. In Eagle Pass, as at other crossings, slaughter horses are checked by USDA veterinarians. A USDA spokeswoman refused to make veterinarians available for interviews, but confirmed that vets sometimes see wild horses bearing the BLM brand in slaughter export pens. Brand documents leave almost 1,000 of Davis’s wild horses unaccounted for. That means they should still be within 75 miles of his residence -- if he has complied with state law. Chavez, whose family runs one of largest export businesses in the southwest. 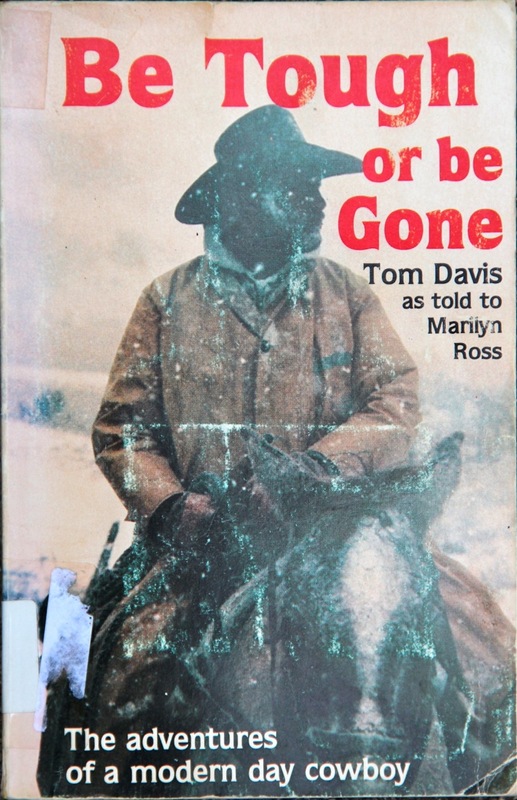 In 1984, when Davis authored “Be Tough or be Gone", a self-published book about a horseback ride he took from Mexico to Alaska, he dedicated it to Chavez’s father, Sonny Chavez. Salazar’s brother, John Salazar, who is the head of the Colorado Department of Agriculture, to help him get a grant to finance the business. John Salazar declined to help Davis, and so far the slaughterhouse venture has not gone forward. “How can the BLM say with a straight face they are protecting wild horses when they deal with this guy?” said Leigh, of Wild Horse Education. Animal welfare advocates have raised concerns about Davis’ purchases, but they say federal officials paid little attention.